It’s been said that truth is the first casualty of war, and it is manifested on full display in Lebanon this week as details on the arrest of Suja al-Duraimi range from stagecraft to pure fiction. 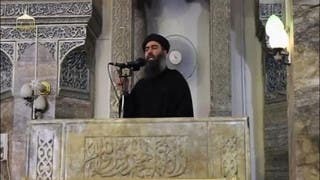 News on the apparent capture of the ex-wife of ISIS leader Abu Bakr Baghdadi took many theatrical turns and twists, raising doubts about the actual occurrence, and minimizing the leverage that the Lebanese government is hoping to gain in releasing the kidnapped soldiers. In the last 48 hours and since the news first broke in Lebanon’s Assafir newspaper, there has been multiple versions of what happened, each depending on the outlet and the language reporting it. Lebanese officials appear to have been telling the local media one narrative, and the international media another. Headlines on CNN for example read that Suja al-Dulaimi was arrested on the border with Syria with her son, while those in Lebanon said she was inside the country with three children and a new husband. An Iraqi official has also come out to say the woman detained in Lebanon is not connected to Baghdadi at all but is the sister of a man convicted of bombings in southern Iraq. Until now, there is not one official narrative on how al-Dulaimi was arrested or who was accompanying her. 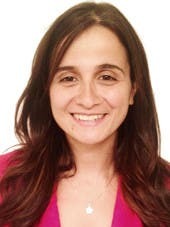 Lebanese media outlets such as LBCI reported that al-Dulaimi was detained by the Lebanese army at the Madfoun checkpoint connecting the North with Beirut, while CNN quoting an intelligence source said al-Dulaimi was arrested as part of a “planned operation” when she “tried to enter Lebanon.” LBCI’s information suggests that al-Dulaimi had three children with her, but that number changes to a 10-year-old son in most English-speaking outlets. Sources in Beirut with knowledge of the investigation tell me that al-Dulaimi has been living in Lebanon in the remote Northern area of Dineye since her release from the Syrian regime jails and as part of a prisoner swap last March. My sources also say that she was in the car with three children when the arrest was made and one of them is her four-year-old daughter Hagar that according to the Lebanese Minister of Interior Nouhad al-Machnouk who spoke on MTV was confirmed through DNA tests to be Baghdadi’s daughter. Several reports mistakenly indicated that al-Dulaimi identified herself during the investigation to be Baghdadi’s ex-wife. Most in-depth reporting coming from Lebanon, however, said otherwise, pointing to a witty and carefully crafted answers from al-Dulaimi, where she never acknowledged directly to be married to Baghdadi. Machnouk confirmed in his interview with MTV last night that it’s the DNA testing on Hagar, Baghdadi’s and al-Dulaimi’s daughter that unraveled the connection. He also added that Lebanon acquired Baghdadi’s DNA from Iraq. The Lebanese government is hoping that the arrest of this woman will help leverage the release of 19 kidnapped soldiers. The Lebanese authorities had been tracing al-Dulaimi’s calls for few months, according to Asharq al-Awsat, as she commuted between Bekaa valley and Dineye. Her arrest at a time when increased pressure is on the government to release the kidnapped soldiers is understood as an attempt to put leverage on ISIS and Nusra in the negotiations. But it’s al-Dulaimi in particular that is the treasure trove for the Lebanese authorities. Her tribal roots descending from one of the largest and most widespread tribes in the Arab world, Dulaim, give her high status. It is unlikely, however, that the arrest of Suja al-Dulaimi will produce a breakthrough on Baghdadi’s whereabouts. The former wife appears to have moved on and is now married to a Palestinian living in Lebanon. Also, the mysterious and risk-averse Baghdadi is unlikely to allow those close to him to live in Lebanon, a more exposed and open terrain to foreign intelligence. Where the arrest could prove helpful is in extracting information or cellular data on the al-Nusra Front or ISIS activities in Lebanon and using that to pressure for the release of the soldiers. The al-Dulaimi arrest is a double-edged sword for the Lebanese government, it could add some leverage in the negotiations but it could also risk retaliation inside the country from these both ISIS and the al-Nusra Front. On Tuesday, gunmen crossing from Syria killed six soldiers in the town of Ras Baalbak and there is no indication yet that this arrest will change their calculus.